BINH DINH (VNS) — The central province of Binh Dinh opened a rubbish treatment plant in Hoai Nhon district yesterday, the first of a planned series. 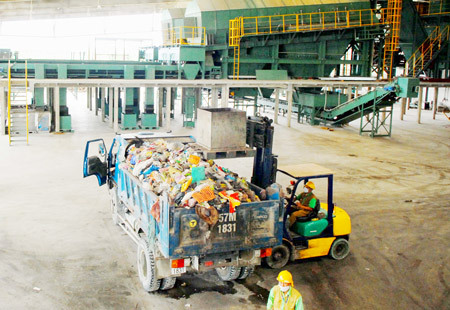 Built by a private company with investment of VND7.2 billion (US$343,000), the 1.2ha plant will process up to 50 tonnes of garbage a day, half the total produced in the district. The plant will recycle the rubbish into fertiliser, bricks and plastic.